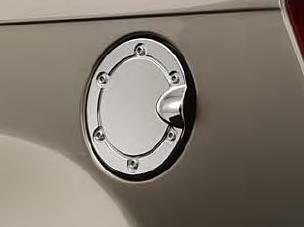 Add a touch of gleam and a high-tech look to your Jeep Grand Cherokee with a chromed aluminum fuel filler door from JustforJeeps.com. Installation is bolt-on simple with no drilling required. 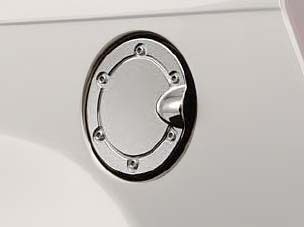 The chromed aluminum fuel filler door is pre-assembled with factory-style hinges for a perfect fit, smooth operation and easy installation. JustforJeeps.com sells genuine Mopar parts so you know they'll fit right and look right on your Jeep.